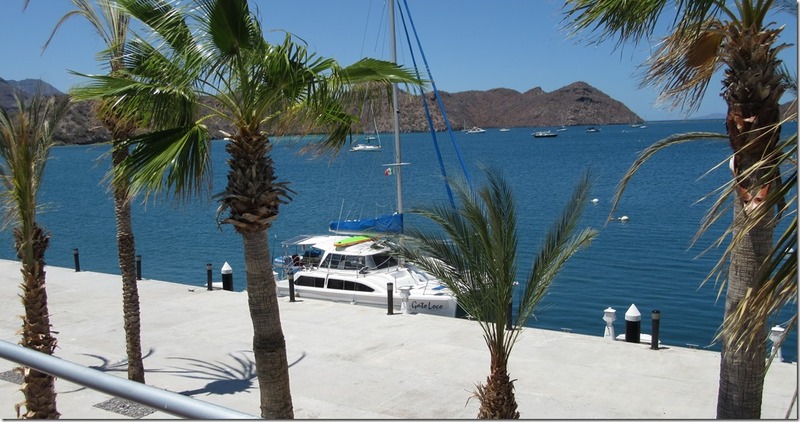 Writing this blog in Phoenix preparing with Frankie to head back to Loreto this Thursday to continue our Baja cruise. 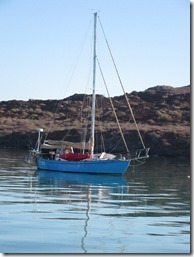 Bill, Dave, Ellen and Dave’s daughter Sandy and husband Xovia are sailing the Loreto area this week. We should hear something about that soon. But first let’s finish the Teefy cruise. 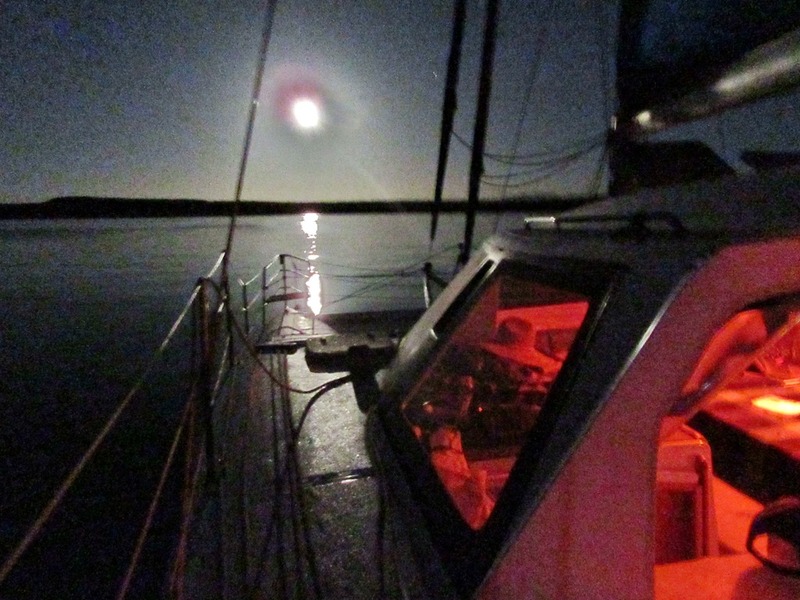 Things get reflective as a voyage nears completion. 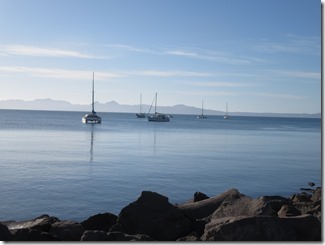 We spent our last night at Sea anchored at Isla Coronados’s turquoise bay north of Loreto. 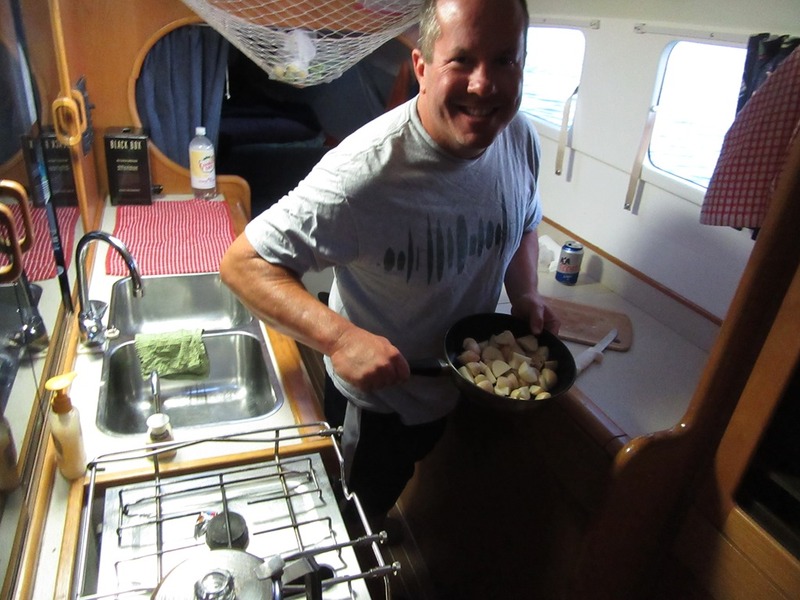 John went all out in the galley and Bill grilled up fillet mignons they’d been saving for our last night. Awesome dinner and we again had to pilferage wine from Frankie’s Malbec supply she plans on drinking in the coming weeks (Sorry Frankie). The moon provided a the perfect setting to chill on the foredeck to reflect on the past 13 days sailing from Penasco. It seems like such a long time ago that we started the cruise. Bees, that gave us trouble yesterday, start showing up as we listen to the morning ham net. Time to head south early. 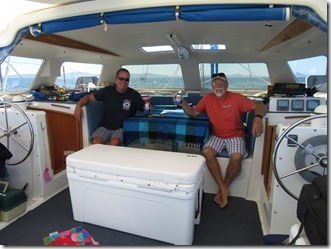 Ralph, our good friend and fellow Seawind sailor, is the net controller today and very entertaining. 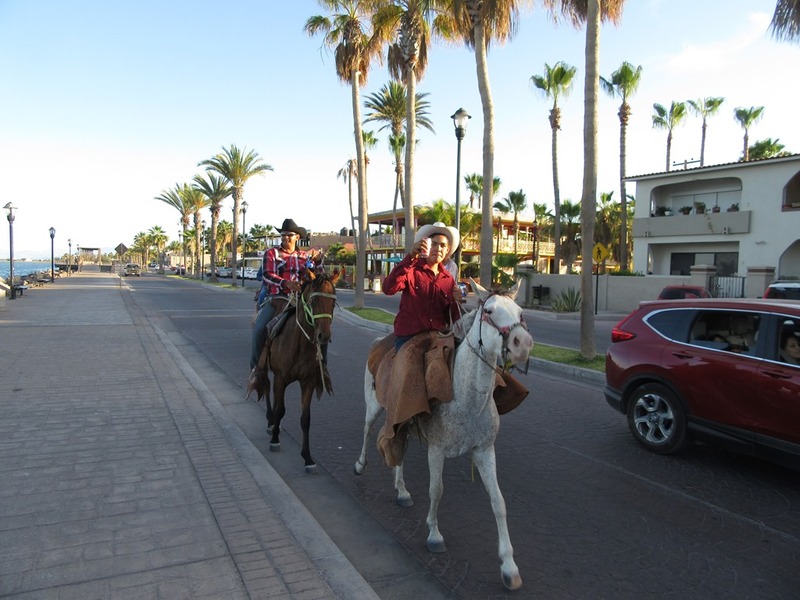 Good to hear from him as they work their way north to the Loreto area. 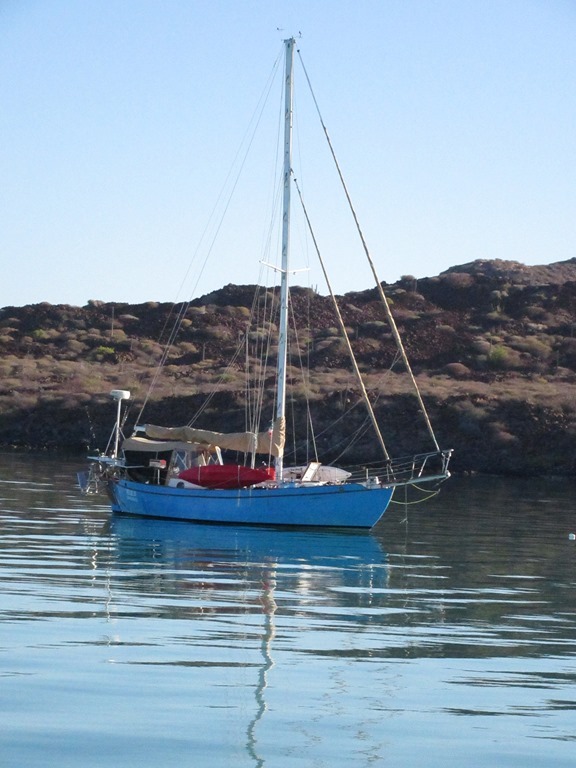 Today we sail past Loreto to the Puerto Escondido to re-provision the boat for Bill’s cruise next week. There’s big changes in Puerto Escondido as the marina has been sold and the new owners are busy with improvement. Also interesting, we discover Javier we met the last 2 years in the small marina is now in charge of the whole operation. 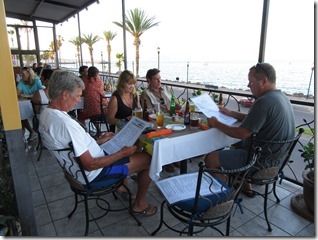 The new restaurant opens just as we finish with the boat so we set and enjoy a few drinks with view of the opening blog photo. The new market is being stocked below the restaurant looks to be open soon. All changes going in the right direction. 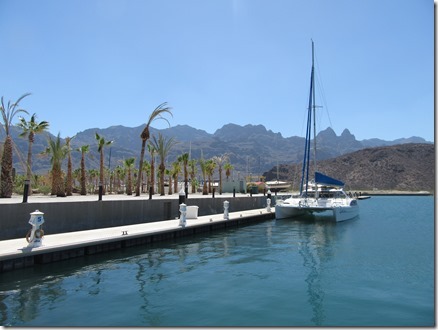 Our plan is to sail back north 10 miles to Loreto and anchor off the malecon and enjoy Loreto for the evening. The wind gods are still with us with a strong SE wind making our final passage perfect. Along the way we make contact with friends Darrel and Anita, who are vacationing in the area, and will meet us for dinner. 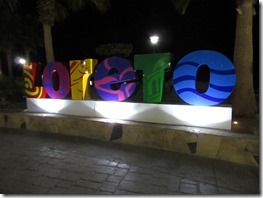 Another awesome night in Loreto. Well it’s finally time to return to reality. 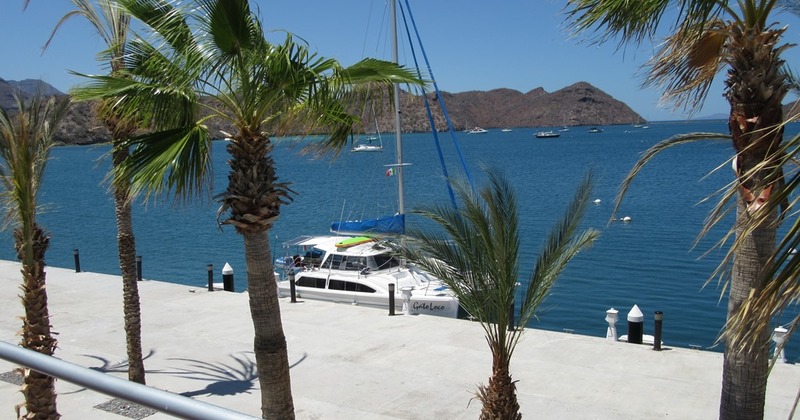 After our packing is done we head to shore for breakfast and a morning walk through then historic plaza then on to the airport. We have to thank John for being an awesome crew member. I love the opportunity to get to know crew members over the period of a cruise. You form a special bond. Here’s your final Teefy Talk. 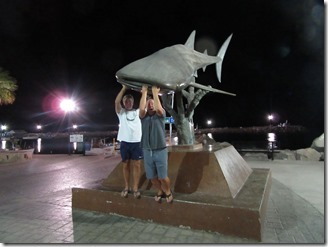 Thanks again John for your extra spice to the blog. 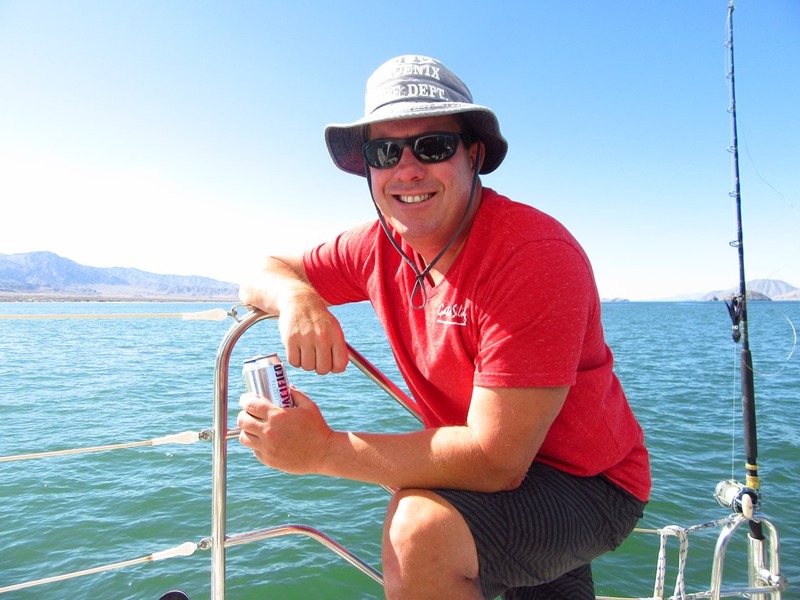 After 600 miles, 14 anchorages, 5 cases of beer, 3 boxes of wine, 3 sleeves of cookies, 1 bottle of vodka, and about 1,000,000 laughs, my 2 weeks on Gato Loco is coming to an end. It was an adventure of a lifetime. 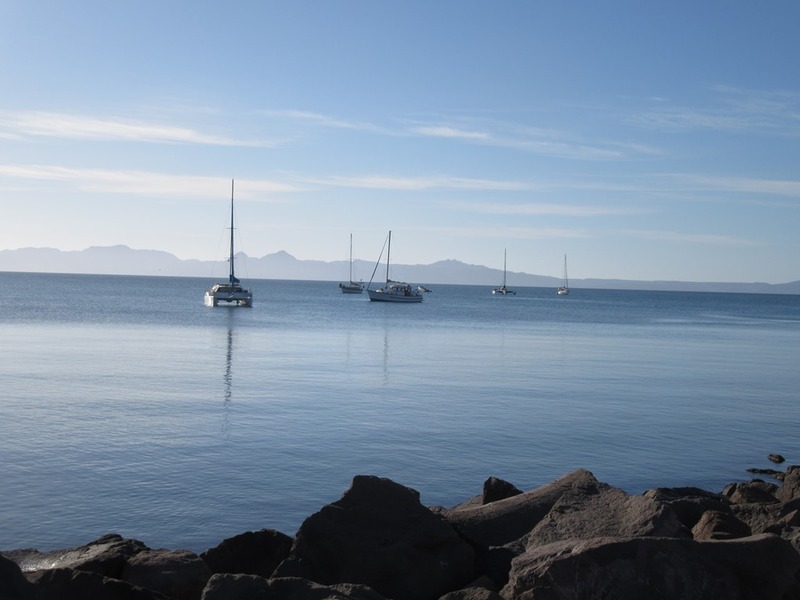 The beauty of the Sea of Cortez and Baja will stay with me forever. 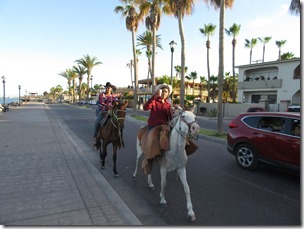 Our last few days in Coronado, Escondido, and Loreto were some of our best. 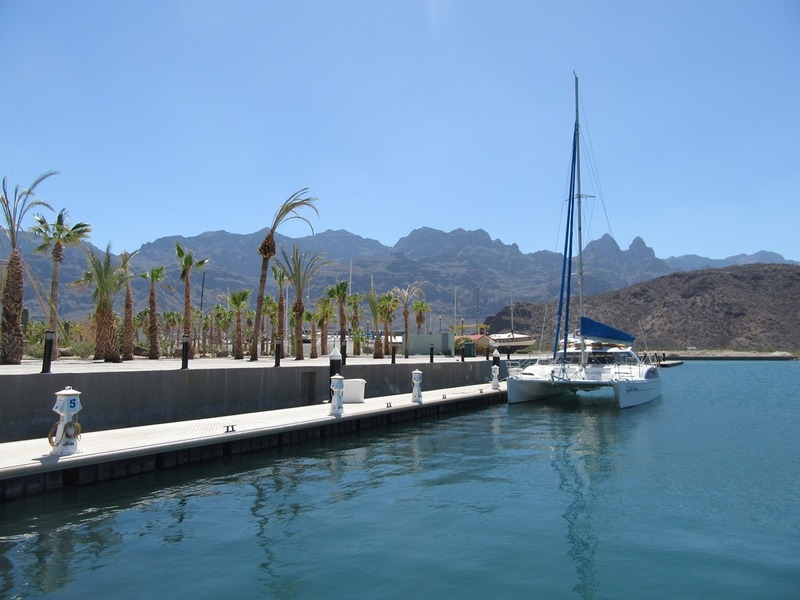 Loreto’s 350 year old mission was one of the high points of the many historic sites along the Baja mainland. 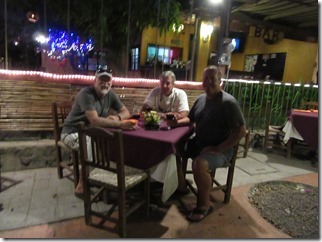 I had an extra treat when Anita and Darrell joined us for dinner in Loreto. 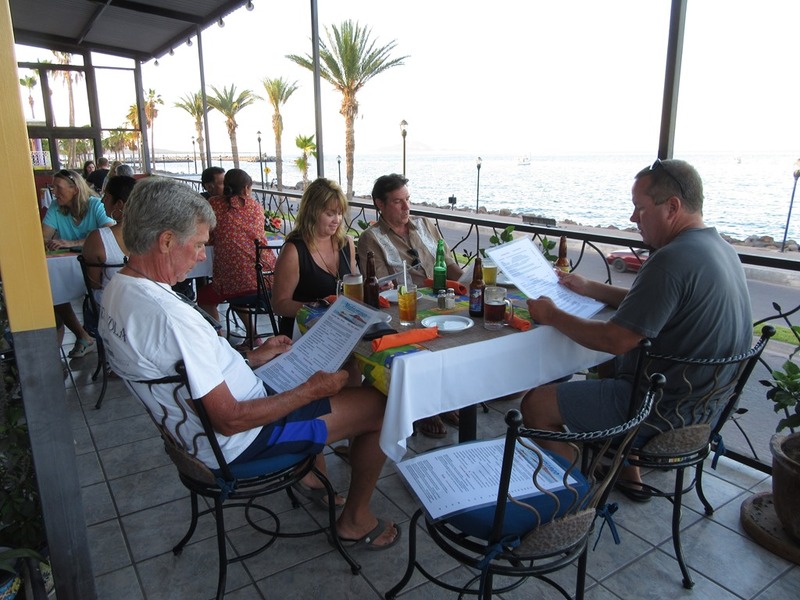 Anita sold Kelli and I our lot in Cholla bay in 2004. That lot would become the future home of Casa Bombero. Just a nice “circle of life” type moment. I would also like to take one last chance to thank Lowell and Bill for such and excellent adventure. 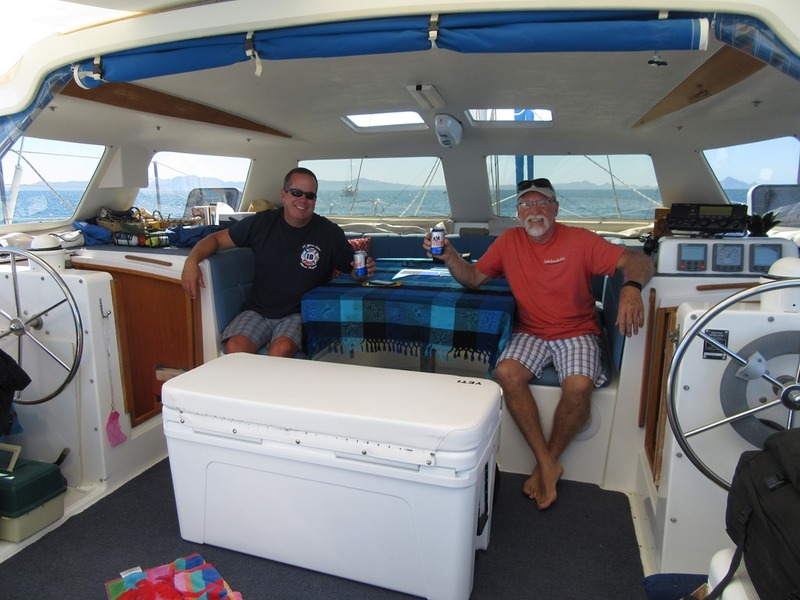 They were not only gracious hosts but skilled sailors and just all around great guys. The best part of this whole trip was becoming better friends with my fellow Cholla hood rats! I’m so happy that Lowell gave me a forum to talk about my trip and keep my family and friends updated on my travels. 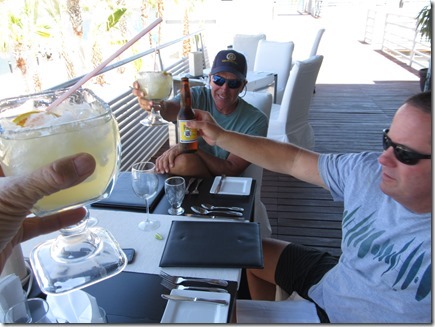 I wish all of the incoming crew members, over the next 5 weeks of sailing, as much Gato Loco fun as I have had!! Take care, stay safe, and for the last time (at least this season)……………Teefy out!!! Sure have enjoyed these blogs!! Lowell is always the best with the blogs but adding the drone & Teefy’s 2cents has been a great added feature. 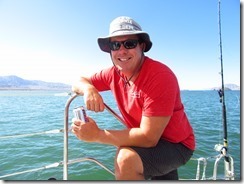 Safe sails for the future crews! Have been reading these posts via Kelli Terry’s Facebook. 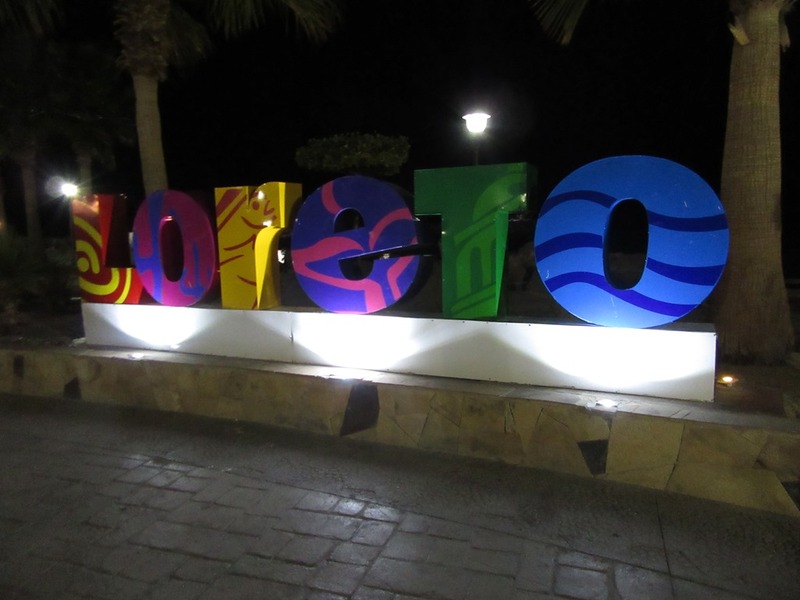 What a great trip! I feel like I’ve been right along for the views! You all did a really excellent job of narrating the trip and fun you were having. Safe sailing to all of you. Kelli Teffy….not Terry, darn auto correct. Just now it wanted to change it to Teddy! !